The clean, green efficiency and cost-effectiveness of solar panel kits for motorhomes is fast catching on. But whilst choice is a good thing, wading through everything that’s out there, just to find the advice and products which are best for your specific needs, can be overwhelming. Here at Sunstore, we pride ourselves in creating the most comprehensive and appropriate motorhome solar panel kits – and we have decades of expert knowledge about how it all works, which products suit which systems and the latest technologies. If we ever discover a potential issue we look to upgrade it accordingly. We know all about 12v solar panel kits as we regularly install them ourselves. Many trader installers also prefer our kits due to the design and ease of installation. Of course, our technical backup is always on hand to help too, starting right now with the answers to some of those frequently-asked questions about motorhome solar panel kits. What does a kit include? What are all the power terms, and what do they mean? What else do I need to know about wattage (power)? Can I get a solar panel kit to suit my budget? What’s the difference between a free-standing system and a fixed system? How easy is a kit to install as DIY? Can I get someone to install the kit for me? How do I work out what size system I need? #1: What does a kit include? A 12v Solar panel: Each type of kit sold by Sunstore, whether free-standing or fixed, will include a high quality, MCS-certified panel. The size of the panel will depend on how much power you want to generate. Fixing or mounting features: Depending on the type of kit, mountings will be included. 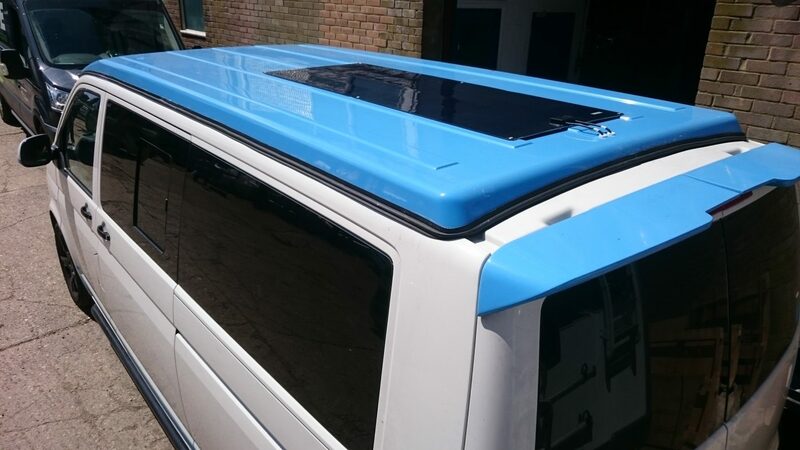 For fixed systems, this includes a mounting kit to fix the panel to the roof of your motorhome. Corner or end mounts for fixing to the roof are also supplied, with no holes required. Free-standing systems include frame mounting, to allow the panels to be stored and used safely and securely. Charge controller: Each kit is also equipped with a solar charge controller for regulating the electricity from the panel to the batteries. Instructions: instructions are included, but of course there’s also easy access to Sunstore’s experienced and friendly technical backup team – before, during and after installation. #2: What are all the power terms, and what do they mean? #3: What else do I need to know about wattage (power)? Understanding wattage (power) needs is essential. The wattage of the solar panel should be a close match with the amount of power demanded by your vehicle, equipment and accessories. In short, underestimating what you need leads to insufficient power but overestimating means you’ve paid far more than you need to, for what you’re actually using. Generation: Power is generated through the solar panels. Panel size is important for obtaining the correct wattage – it needs to be the right size in order to supply the right amount of power for your needs. For motorhomes, panels of 80W and above are most commonly needed. Storage: Power generated by the solar panels during daylight is stored in the battery until needed, whether this is immediately or after dark. The battery then supplies the power. Batteries which allow trickle-charging can be particularly useful in motorhome systems. A minimum of 25W is advised if mobile devices such as laptops are likely to need regular charging. Use: This is how the power being generated and stored will be used. Motorhomes commonly include many of the electrical appliances, gadgets and devices we use in our homes. For example, lighting, fridges, toilet flushes, televisions and device charging should be considered when working out power needs. #4: What about panel sizes? But it’s not just wattage which needs to be considered. When it comes to panel sizes, the actual size and space in which the panels are going to be used is also relevant. This is particularly important to get right if the panels are to be fixed to the motorhome. In most cases, efficiency and power needs can be met with careful attention to size planning. The fact we offer a range of sizes across our kit systems is also a benefit. So if 120W is needed but a 120W panel is too large for your motorhome, your kit could include two 60W panels instead. The type of panel can also impact on overall measurements, even across the same wattage. E.g. crystalline panels are more compact in size than amorphous panels. Not sure? If at any point you’re uncertain about what you need or how to calculate it, our team of technicians can help with calculations and advice. #5: Can I get a solar panel kit to suit my budget? As with most things we buy, bigger = the more expensive. However, Sunstore solar panel kits start within a budget range and will suit most basic motorhome power needs. When optimum performance and efficiency has priority over budget, ultra-efficient MPPT kits for motorhomes can be a cost-effective investment. Overall it’s possible to find enhanced kits and bespoke systems across all types of budget, depending on the choice of components. For example, different types of panels can affect cost, with rigid panels usually being less expensive than flexible and folding panels. #6: What’s the difference between a free-standing system and a fixed system? All our kits include both fixed and free-standing versions. Fixed systems are those which are permanently attached to the motorhome, becoming an integrated system. Free-standing kits are separate and can be carried independently of the vehicle but used to supply the motorhome with power when required. Freestanding kits offer the flexibility of being able to organise the system once you arrive on-site, particularly if you’re looking for a quick charge in direct sun. They also offer flexibility to be used on other adventures, for instance if you decide to go off camping or cycling. With free-standing kits, the system can be kept if the motorhome is later sold on. Fixed, permanent systems offer the reassurance of always having the system ready and waiting to go. Fixed systems can be installed in ways which don’t mean having to drill holes into your motorhome. They can also be updated as required, for example if the motorhome is refurbished or fixtures are added which increase the power demand. #7: How easy is a kit to install as DIY? We supply a whole range of solar panel kits all of which can be purchased as supply only, for DIY fitting. Every kit includes full instructions, which we have made as easy as possible to understand and follow. See the following instructional video for installing one of our solar panel kits on a motorhome or van roof. As the system is a technical one, we offer a full technical help and advice service before, during and after purchase – including that crucial period of time when you’re installing the system. #8: Can I get someone to install the kit for me? Sunstore has a team of solar experts who can install kits to motorhomes at competitive prices. In some cases, having the kit installed by a professional extends the warranties of some of the component parts. What’s more, using the services of a professional offers the reassurance of getting the job done properly, with the system up and running efficiently the first time, and with full technical back up afterward. Contact us to find out more about our installation services in your area. #9: How do I work out what size system I need? The optimum size of system is one where there’s a balance between what comes in and what goes out: the power coming into the solar panel and then coming out of the battery to power electronics in the motorhome. As an example, on a typical summer’s day, there could be around 4 – 6 hours of solid sunshine. Using our most popular selling 120w 12v MPPT kit this means around 84 amp hours a day going to the battery. Assess appliances: make a list of the 12V appliances which will be powered by the system across a typical day. Use the information on the appliance or the manual to identify how many watts each one consumes. Tip: if only amps are listed, then multiplying the amp total by 12 will give you the wattage. Listing how many hours a week you’ll be using each appliance. Dividing this total by 7, to find the daily wattage rate. Now multiply the daily wattage rate for each appliance by the number of hours it’s used daily. Add all of the totals together, across all of those appliances. This final number is your daily wattage-hour power requirement that your system will need to provide. Panel sizing: to find your panel size, divide the daily wattage-hour total by the average hours of usable light on an average day. Tip: we calculate based on 1 hour in the winter and 4 hours in the summer, in the UK. This gives us a conservative estimation which allows for variable light conditions. The table below may also be useful in helping calculate the panel size, but should be viewed as a guide only as weather conditions can vary and will impact on the amount of power generated. Multiply your daily wattage-hour power requirement by 7. This gives a weekly requirement. Divide this total by 12 to convert to amp hours (because batteries are rated in amps). Multiply by 2 to obtain optimum battery size. Charge controller: the charge controller works in amps generated by the solar panels. To find out the charge controller size needed, divide the panel wattage by 16.5. Remember our technical support teams can assist with calculations, so if you want to buy a kit but want to check your calculations first, call us on 01903 21 31 41.